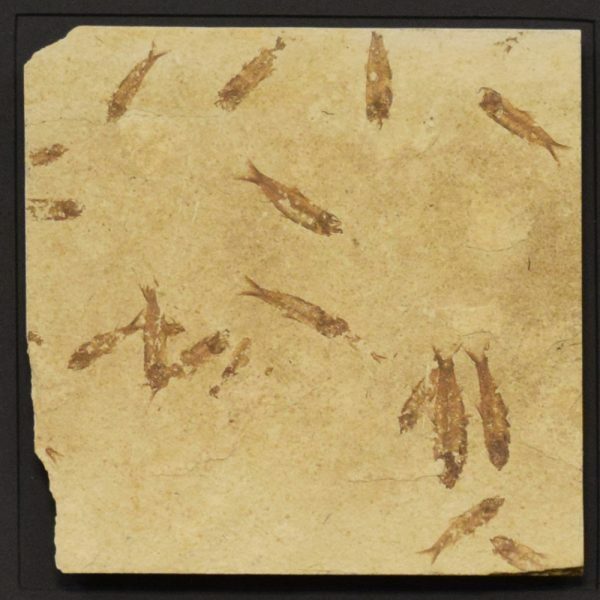 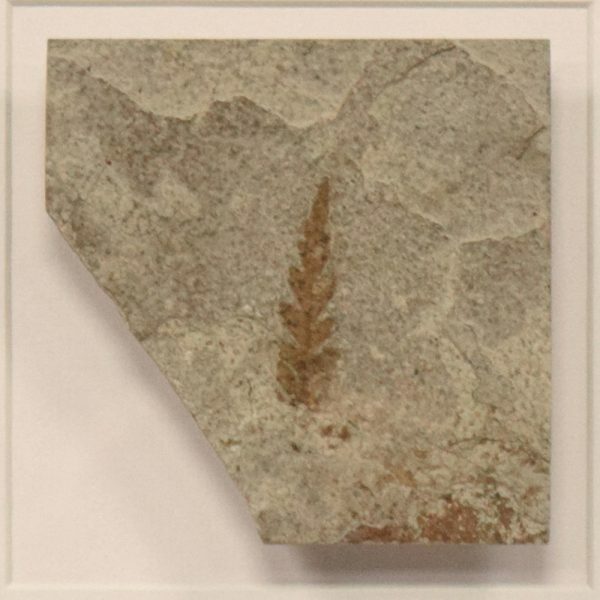 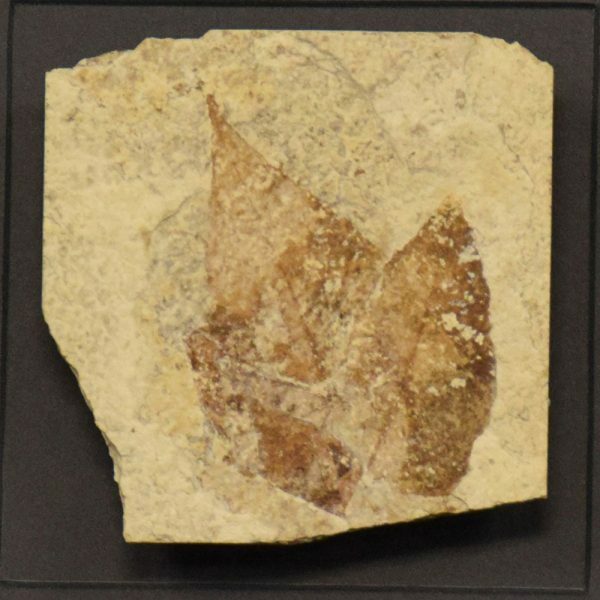 The Fossil Record is the history of life on earth as documented by the remains or imprints of organisms preserved in sedimentary rock. 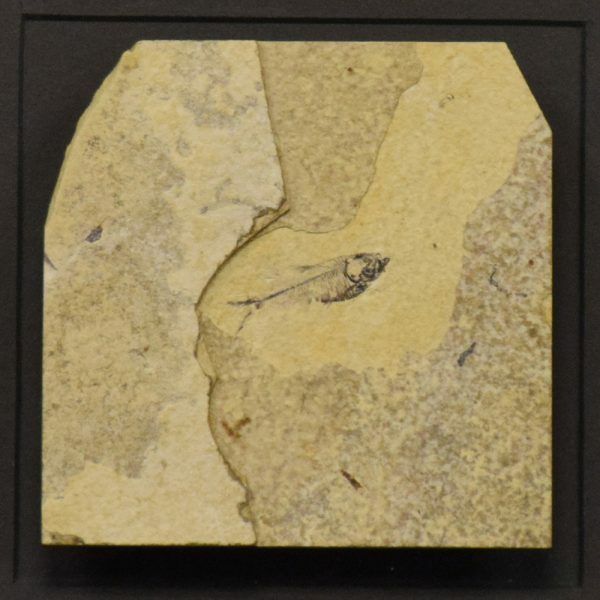 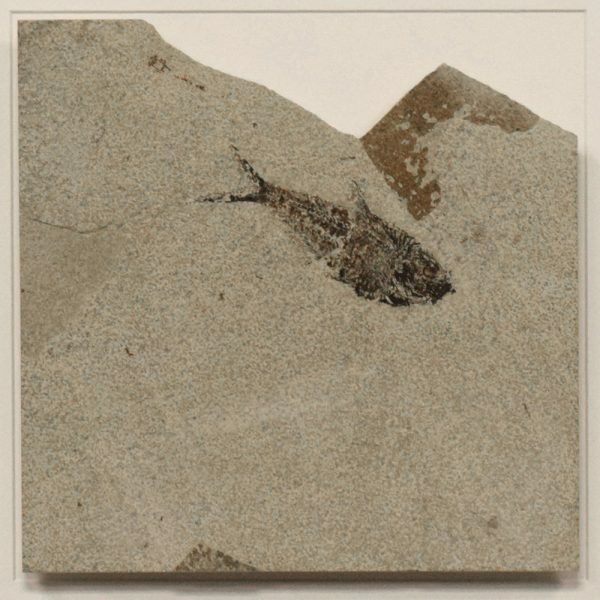 In a few cases the original substance of the hard parts of the organism is preserved, but more often the original components have been replaced by minerals deposited from water seeping through the rock. 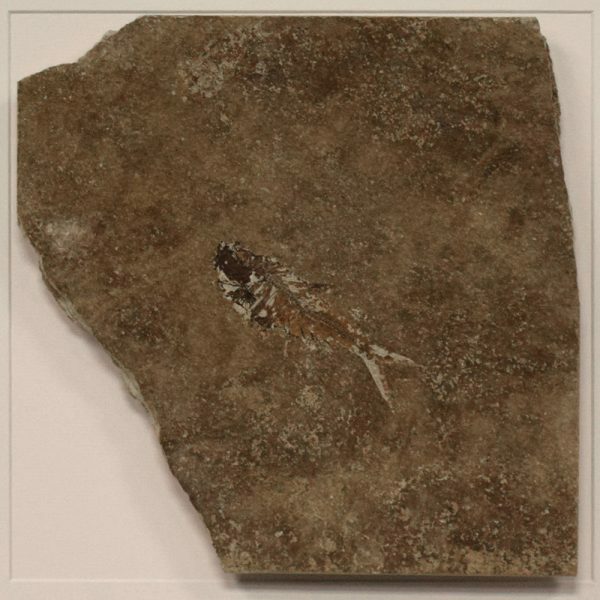 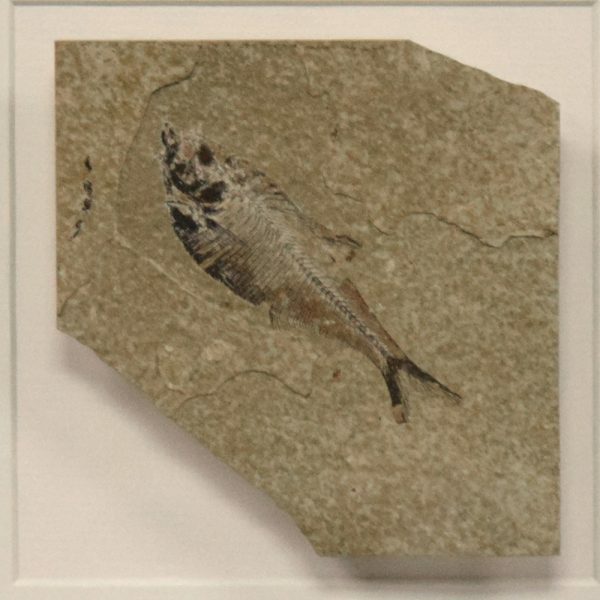 Diplomystus is an extinct genus of freshwater clupeomorph fish distantly related to modern-day extant herrings, alewives, and sardines. 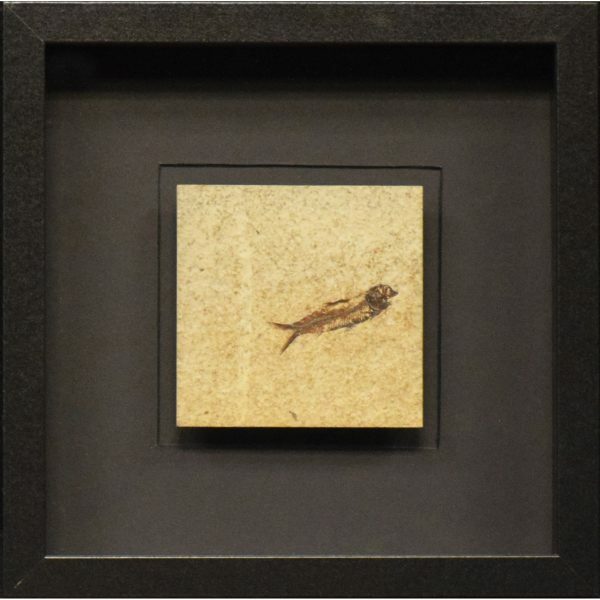 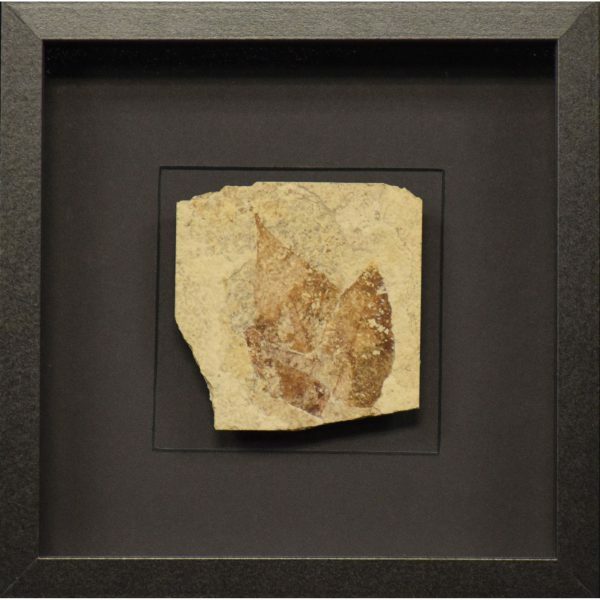 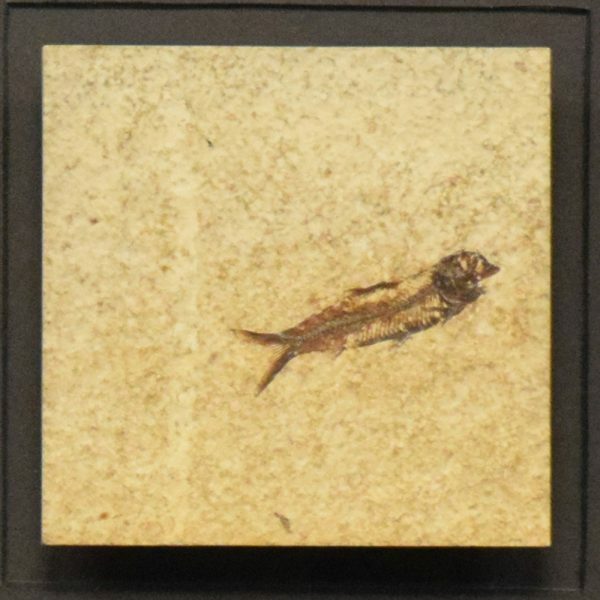 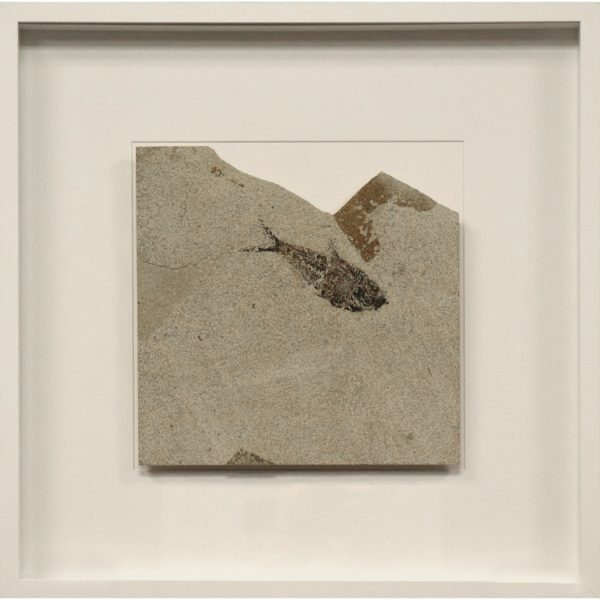 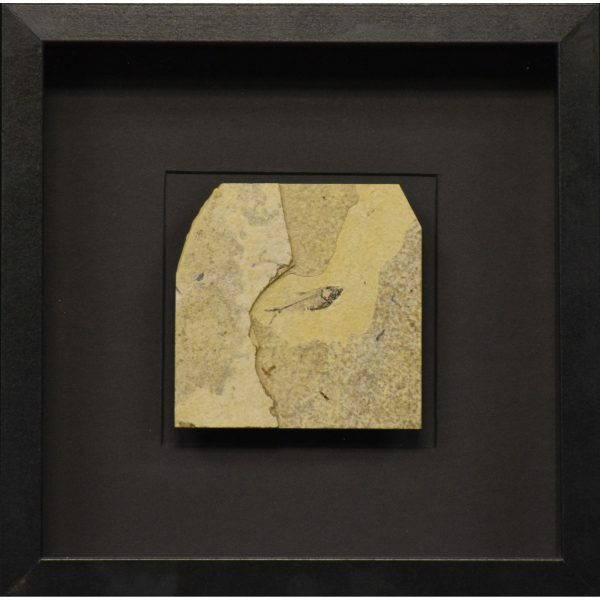 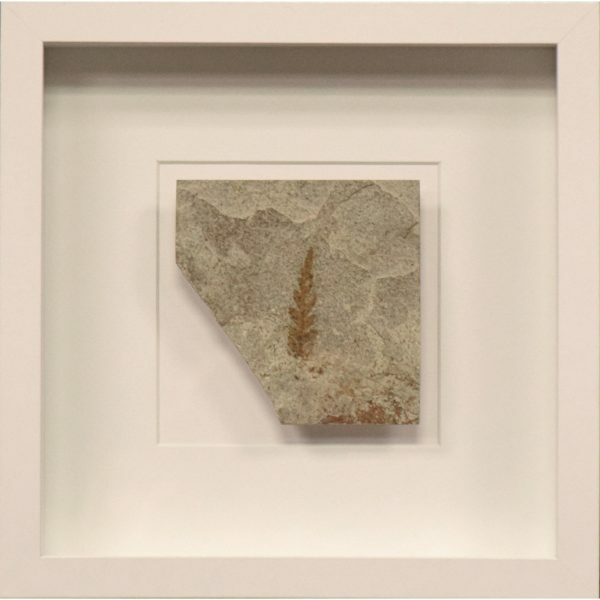 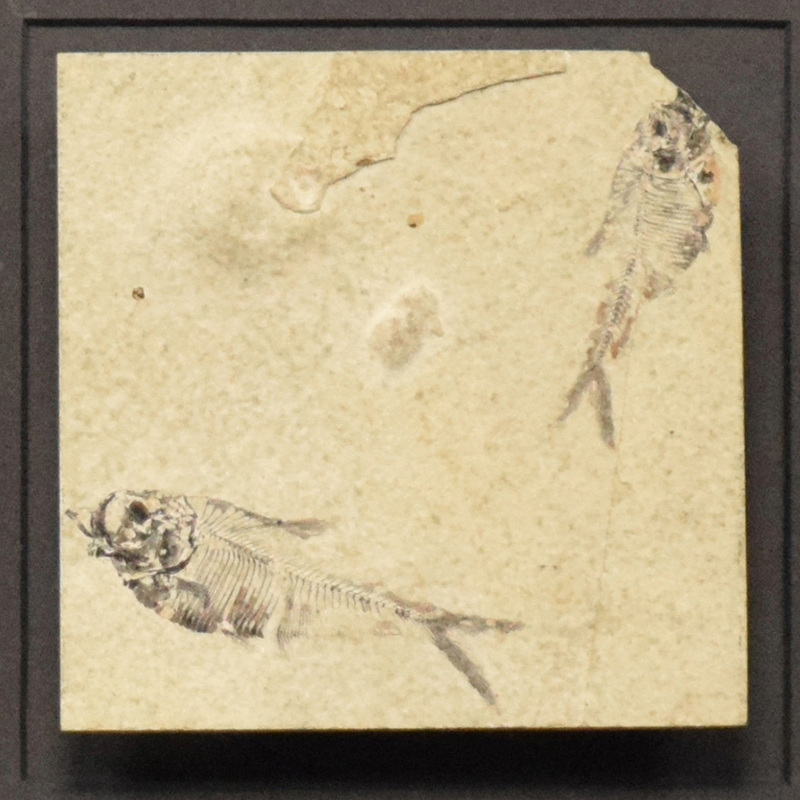 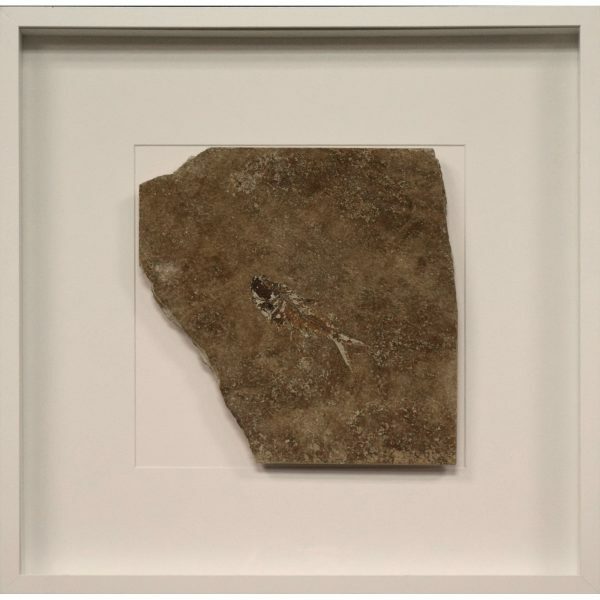 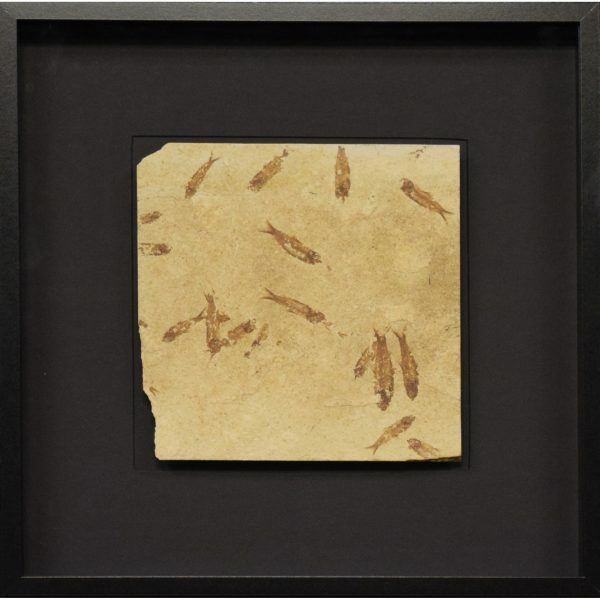 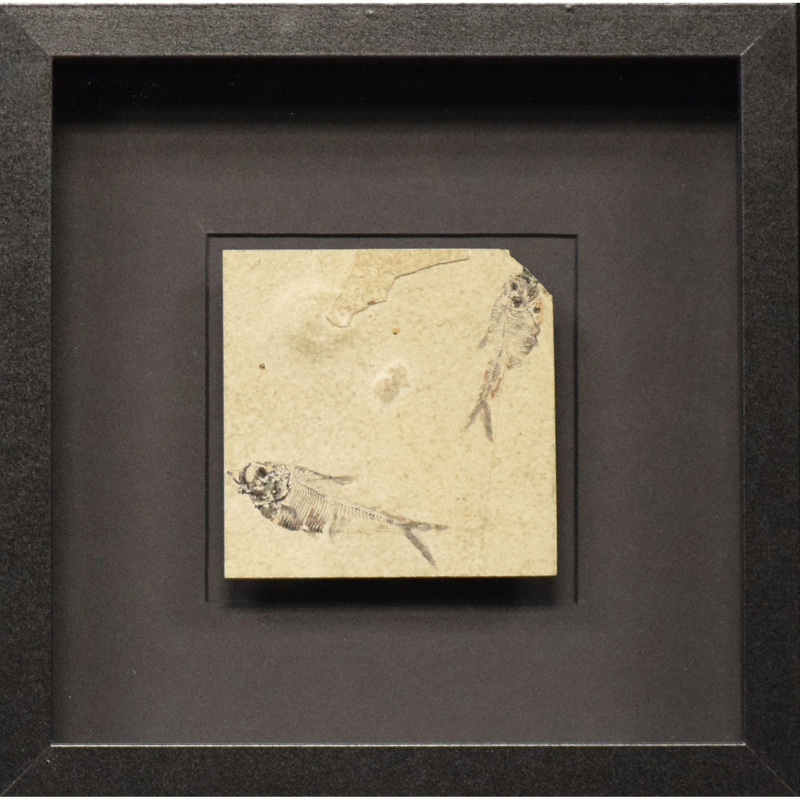 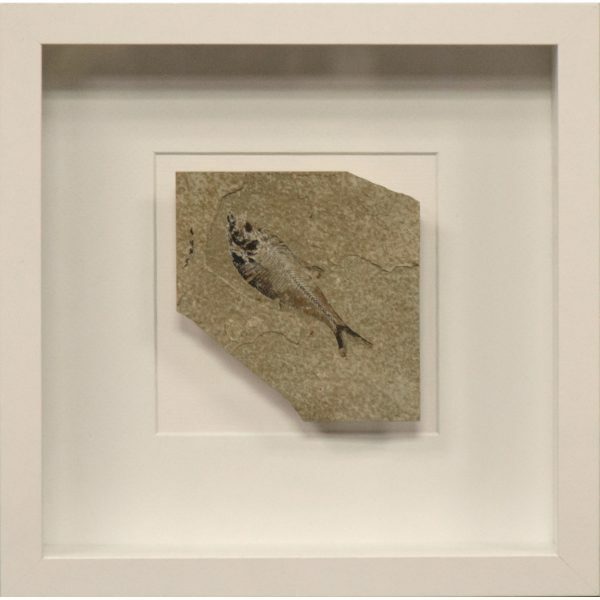 This beautiful framed piece of natural history contains 2 Diplomystus, displayed in an elegantly designed shadow box.